Sunday we start the February Oil Pulling Challenge so I wanted to have some easy ways to incorporate oil pulling into the morning routine. Normally I make up a mixture of coconut oil and essential oils in a mason jar and just take a spoonful of the mixture every morning to use for oil pulling. 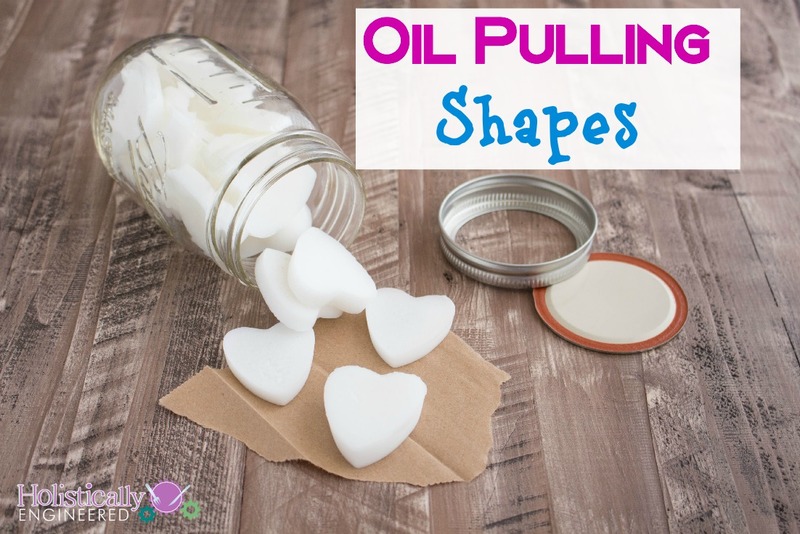 Well, I wanted to have another way to proportion the coconut oil used for oil pulling and these fun oil pulling shapes were just the thing. I melted the coconut oil at low temperature (so the benefits remain) and added essential oils that are generally regarded as safe for ingestion (like these here). I poured the mixture into cute little heart-shaped silicon molds that would hold about 1 Tbsp of oil. After letting them set in the fridge I un-mold the shapes and store them in a mason jar (either in the fridge or in a cool place). In the morning, I just pop one of the little hearts into my mouth and let it melt as I start oil pulling. I have to admit, I LOVE the texture of the oil in this method. It’s not as “gritty” starting out so it’s easier to get through the melting phase at the beginning. Over low heat, slowly melt the coconut oil in a double boiler or glass bowl placed over a pot with a few inches of simmer water. Remove from the heat and stir in the Thieves and Peppermint essential oil. Pour the coconut oil into a silicon mold (like this one--my molds hold about 1 tbsp of oil) and place in the refrigerator for 2-3 hours or until set. 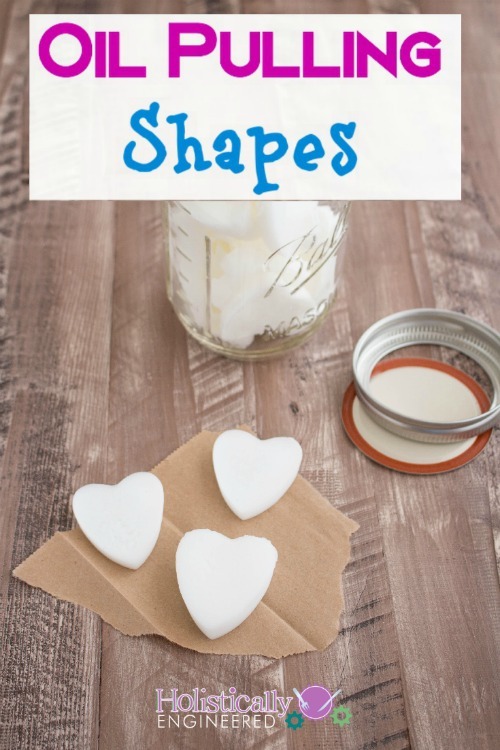 Remove the shapes from the mold and store in a mason jar (in the fridge or a cool place).